In this episode, we interview Jenny Wheelus, Client Services Director for Hope Pregnancy Center. Jenny shares a strategy that helped her nonprofit increase her social supporter base by 400% and increased the frequency of online donations by up to 1500%. Tired of marketing strategies that aren't working? Well, listen to this episode. It seems that every nonprofit we work with tries to reinvent the wheel when it comes to the structure of their websites. But, with so many successful models of nonprofit websites available online, you don't have to be one of them. Are you wondering what it would take for your nonprofit to have an effective web presence that increases donors, volunteers, and supporters? Then read on. What SEO Means to Nonprofit Websites? Search engine optimization for nonprofit organizations is a hot topic these days. With marketing companies calling almost daily, soliciting for business, it's more important than ever to understand the impact of SEO on your nonprofit organization and how it fits into an overall internet marketing strategy. Your website should function as your donor, volunteer, and supporter relations person while you stay busy growing and managing your nonprofit organization. But, sadly, most nonprofit websites are miserably failing at engaging website visitors. Learn how to transform every page of your website into a magnet for new opportunities, relationships, and true impact. Why Nonprofits Should Not Buy Websites. It's Just Not That Simple. It's a common mistake for nonprofit leaders to believe that they can just buy a website the same way you buy a computer or a suit. Avoid the common issues that result from poor planning and the wrong expectations of what you really need to have in order to create a successful web presence for your organization. Great content can mean the difference between a disposable, inconsequential website and a vibrant, mission-critical web presence that increase donors, volunteers, and talented team members. Learn how to make sure your website's content is doing the job it's designed to do. With all of the confusing information about marketing showing up all over the internet, it's a wonder any nonprofits can fully make use the web as a viable tool for promotion and getting their message out. 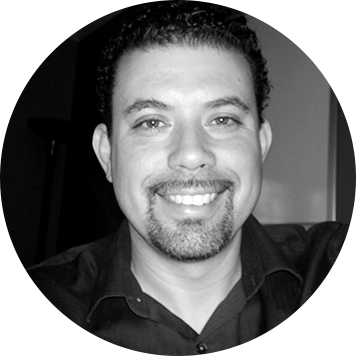 Nonprofit Websites founder, Jose Gomez, takes a few moments to cut through the noise and tell us the top techniques to focus on to attract new relationships to our nonprofit organizations. Are you experiencing anxiety just thinking about building your nonprofit website? Do you hesitate to start the project because you need a clear plan of action to help? Learn about the top 5 things that will assist you on your way to a powerful, compelling web presence.